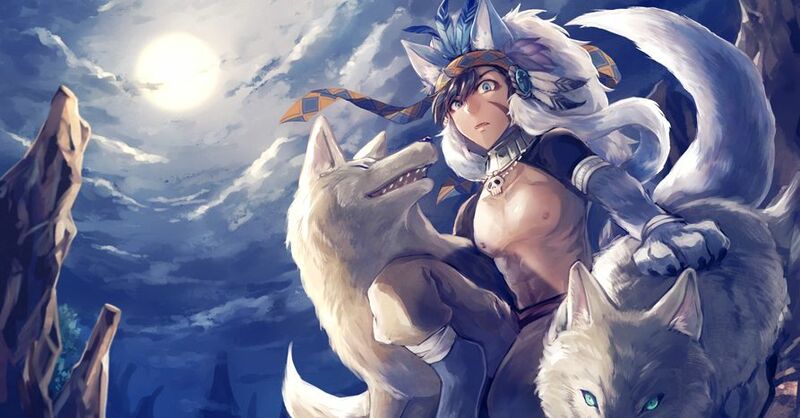 Can you feel the special bond between a boy and a wolf he cuddles with in an illustration? When a courageous wolf and a handsome man team up, they form a pact not only of trust but undivided devotion. Watching this fantastical scene will make your imagination run wild. In fact, you might just fall in love with the gallant leader this wolf is shadowing. Today we are featuring illustrations of wolves and handsome men. Enjoy! This large bath is so...♡ Onsen!